Finovate alum Cachet Financial Solutions (FinovateFall 2012) has announced its acquisition of Moneto, the prepaid mobile platform, from another Finovate alum, DeviceFidelity. Calling prepaid “one of the fastest growing financial product sectors,” Cachet CEO and President Jeffrey Mack said, “This acquisition is a perfect complement to Cachet’s current RDC mobile prepaid offering and demonstrates our strategic evolution to a more comprehensive mobile offering. While Moneto is the main prize in the acquisition, there is more to the package than the prepaid mobile platform alone. Cachet Financial will also gain a core VISA prepaid mobile money platform, and strategic relationships with partners like Navy Federal Credit Union, MasterCard, and Moneygram. Moneto also enables contactless payments for both iOS and Android smartphones. The mobile app allows the user to access his or her prepaid card from their mobile device, as well. Cachet Financial is known for its remote deposit capture (RDC) technology, which leverages technology from Mitek (yet another Finovate alum) to provide solutions for financial institutions, credit unions and consumers alike. The company is based in Minneapolis, Minnesota, and was founded in 2010. See DeviceFidelity demo moneto in the video from the company’s FinovateSpring appearance in 2012 here. Lending Club named #5 on Forbes’ Most Promising Companies List. The Wall Street Journal mentions SecondMarket’s private shares trading market. Doxo receives 2013 Award for best Software and App from the Seattle Award Program. VentureBeat lists Xero and Expensify as 2 of the best back-office software applications for small businesses. Billhighway Prepaid MasterCard named winner in eighth annual Paybefore Awards. Bank Systems & Technology features Allied Payment Network’s Picture Pay mobile bill pay app. FIS wins Frost & Sullivan Customer Value Enhancement award for FIS Mobile Wallet. Credit Card Vault in the Cloud Spreedly Raises $500k. Find Biometrics takes a brief look at 2013 and 2014 with EyeVerify’s Director of Marketing, Denise Myers. DeviceFidelity announces availability of its IsisReady NFC cases for iPhone. Azimo CEO Michael Kent talks about his company’s partnership with The Currency Cloud. Realty Mogul named one of the 18 best startups of 2013 by Business Insider. Bob’s Guide looks at Comarch survey to determine SMB satisfaction with business banking. American Banker reports: Fiserv Releases Financial Crime Risk Platform. 1to1 media features insights on customer service innovation from NICE Systems and GMC Software Technology. Business Standard reviews Hello Wallet’s smartphone app. NFC chip from DeviceFidelity earns commendation in this Forbes column on mobile banking. Kalixa Group Brings its NFC-Enabling Technology to the U.K. The power to turn any smartphone into an NFC enabled phone is the promise of Kalixa Group’s prepaid mobile wallet, moneto, now available for users in the U.K.
Moneto will allow users in the U.K. to “tap and pay” (or “tap and go”) when paying for purchases using their smartphones. MicroSD technology, courtesy of DeviceFidelity, provides the phone with its NFC functionality, allowing shopping by mobile wallet at retail stores throughout the United Kingdom wherever the MasterCard PayPass logo is displayed. Users of the mobile app also get an EMV prepaid MasterCard that will allow them to make cash withdrawals from ATMs, shop online, and pay for items where NFC is not an available option at the point of sale. ATM cash withdrawals will cost Kalixa prepaid card users £1.75 each, plus 1.95% of the value of the transfer (minimum of £10). In addition to providing for NFC-based transactions, the microSD chip potentially adds a layer of security for the mobile wallet user. As noted in Banking Technology’s coverage of the launch, a stolen phone with a separate NFC chip means that the customer is less likely to have their account details stolen, as well. The mobile wallet is currently available on iOS for iPhone 4 and 4S. Kalixa Group plans to add Android and iPhone 5 compatible versions later this year. Kalixa Group demoed its mobile point-of-sale (mpos) technology at FinovateEurope 2013 in London. To see their presentation, click here. DeviceFidelity showed its In2Pay microSD chip enabling contactless transactions with the moneto wallet as part of the FinovateSpring 2012 show in San Francisco. See DeviceFidelity in action here. Yodlee launches suite of solutions to give self-directed investors a full picture of their wealth and investments in one place. Forbes lists Narrative Science as 1 of 5 exciting tech companies you’ve probably never heard of. 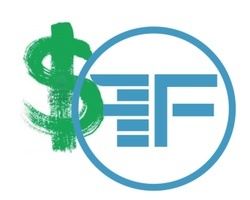 Huffington Post features Personal Capital, Mint, and Manilla as tools to organize finances. First Federal Bank and United Community Bank have selected Fiserv’s DNA account processing platform. Commerce Bancshares extends use of Alogent Payments Gateway from ProfitStars. Thomsen Reuters announces availability of Checkpoint Pocket Assistant for the iPhone, free app for tax professionals. Check to provide mobile bill pay to Desert Water Agency customers. NYSE CIO Peter Leukert to lead FIS’s strategy and thought leadership team. Technologies from Kalixa, DeviceFidelity, and MasterCard combine to bring moneto mobile wallet to the U.K.
VerifyValid partners with Deluxe to offer secure check payment solution to small businesses. See VerifyValid demo at FinovateFall in New York.